Radun is the old Illyrian name fort the water spring. Since it earliest time it was the central street of Lučac suburb that was settled by the arrivals from the Republic of Poljica, about five hundred years ago. The names of those old families are featured on the street names: Kuzmanić, Ninčević, Kuzmić, Ružić, Bubalo, Trumbić, Duplančić, Dumanić, Petrić, Prvan, Vešanović, Dvornik, Čulić and so on. Radunica became even more popular because of the public fiesta “The Days of Radunica”, that is traditionally held during the last week of June, for the celebration of St. Peter. 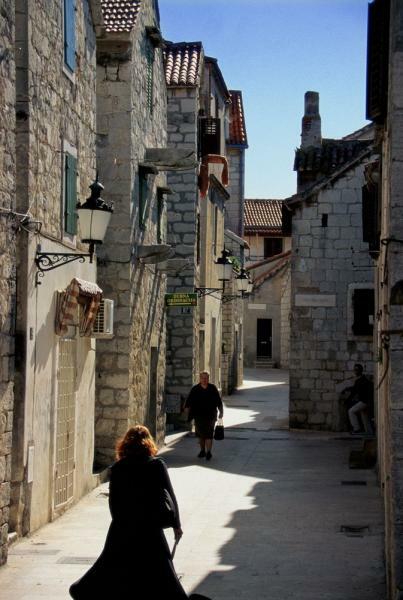 Split is rich in its narrow streets and small squares bunched together next to each other seeking shade in summertime and safety through the turbulent history. 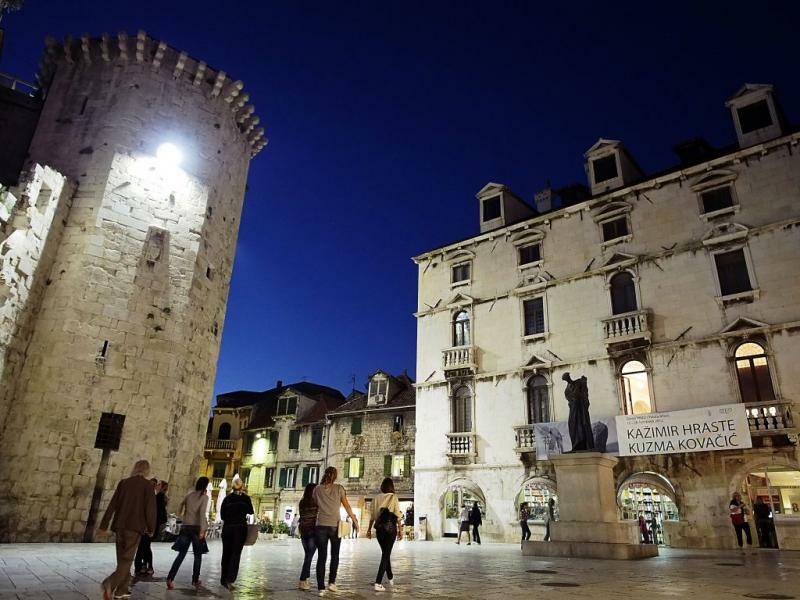 Right here, on one of the more beautiful city squares is dominated by the symbol of war and occupation, octagonal tower, built by the Venetians who feared the local revolts and the Turkish raids. On the opposite side of the tower there is a spectacular façade of the Baroque palace Milesi, and from the right and there left there are silent witnesses of the traditional Dalmatian architecture. One stone to the next, one moment of beauty to the next, all faithfully recorded by the statue of Marko Marulić, father of the Croatian literature from the 15th century, carved in bronze by the hand and the genius of Ivan Meštrović. Voćni trg (Trg Braće Radić) earned a special place in history as featured in the TV series by Miljenko Smoje, “Velo misto”, because of its spectacular beauty and heritage of centuries.